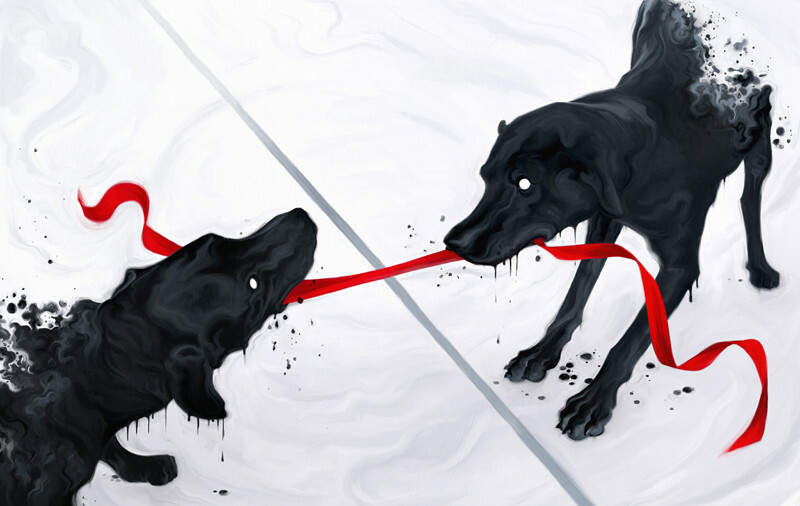 Alberta Venture magazine commissioned Robert Carter to illustrate the “tug of war” between the Alberta Provincial government and the Federal government regarding the oil sands and how they will be regulated. The piece was completely painted in PhotoShop CS5. Kim Larson from Alberta Venture magazine was the art director. Robert’s piece not only won 1st place in the Illustration Single category in The Altpick Awards, but also was selected for American Illustration 31. To see more of Robert Carter’s work go to his Altpick page and his website. This entry was posted in Altpick, Art, Illustrations and tagged Alberta Venture magazine, altpick awards, oil sands, PhotoShop CS5. Bookmark the permalink.